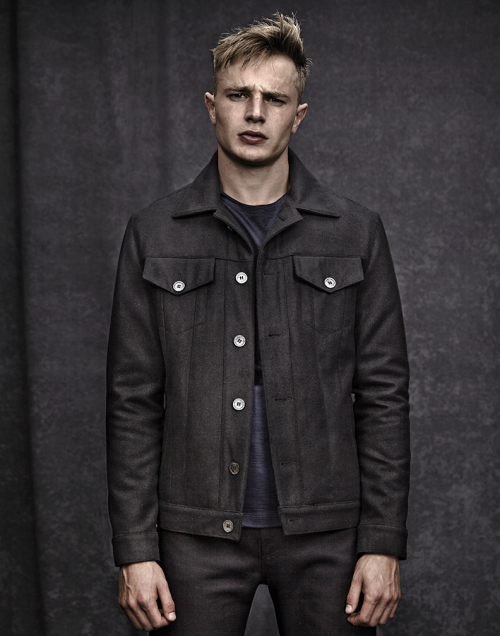 This Nestor jacket is assembled using cloth from one of England’s oldest and historied mills. The black melton wool comes from A W Hainsworth in Pudsey who, among other incredible stories, made the fabric for the Battle of Waterloo soldiers in 1815 and invented the colour Khaki. 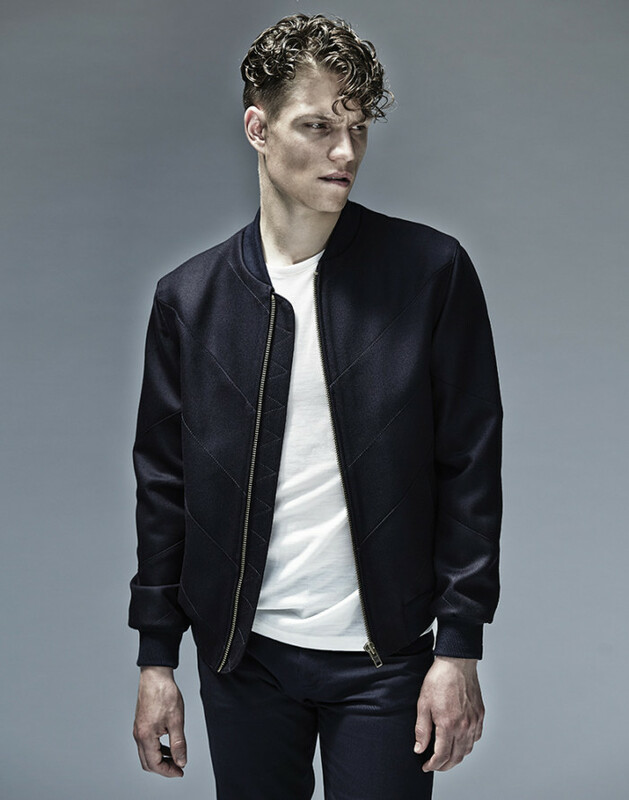 The cloth itself is a navy barathea wool which holds that slightly textured hopsack weave and is extremely resilient making for a tough but elegant garment that will snap back into shape after wear. It’s a lightweight barathea wool giving it more use for a greater part of the year. 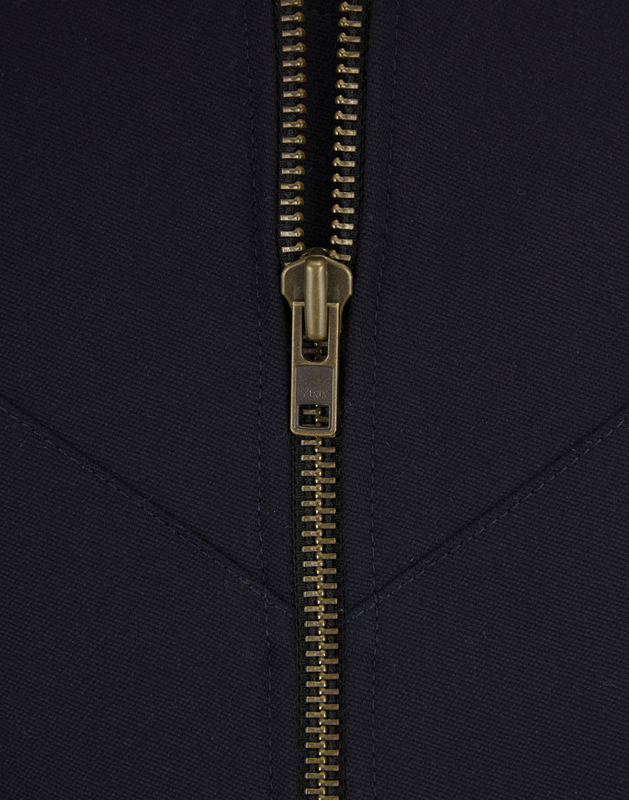 The zip is antique brass in tone with a square ended slider. The metal is neither too shiny like nickel or gold zips and retains a traditional feel. 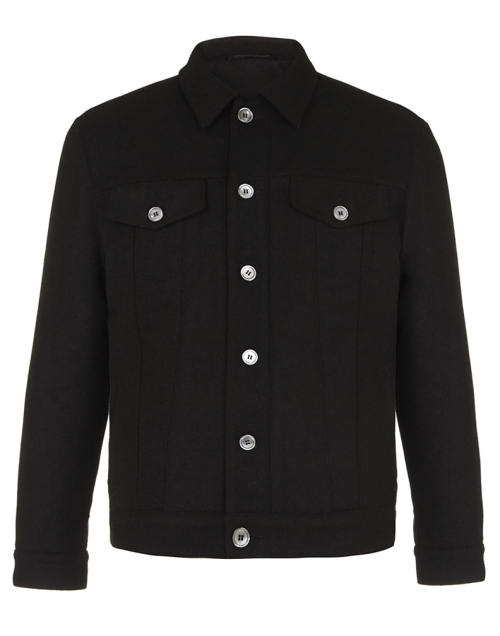 With worsted barathea wool often employed in the construction of highly formal tailored garments like Dinner Jackets we thought it might play conversely well as one of the most iconic and popular casual jackets, the bomber. 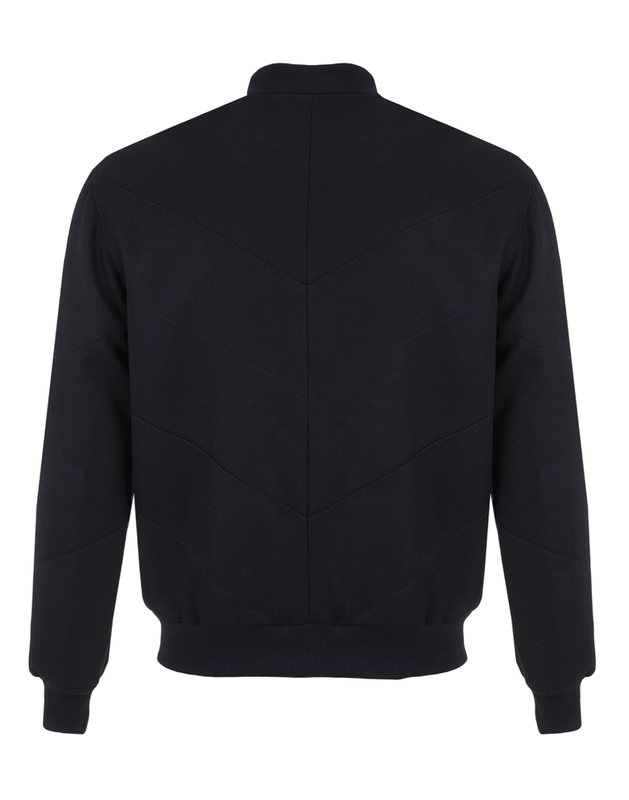 The light and natural sheen of the wool lends an air of quality but the most interesting element of the piece is the broken and reformed structure of the pattern pieces creating a chevron paneled effect. 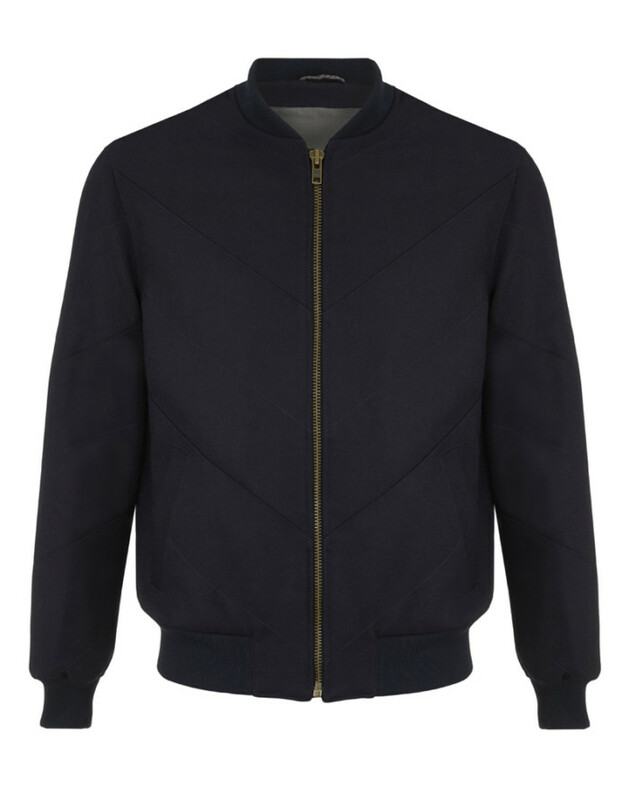 Without being too showy the jacket is now individual and intriguing. 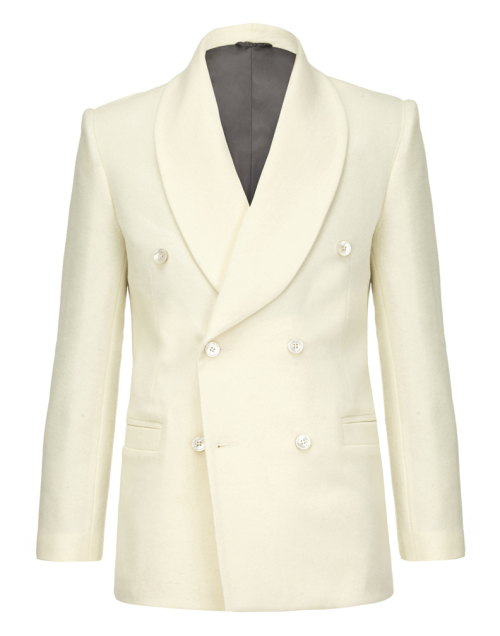 The stitched lines and and seams where panels meet draw the eye from the centre of the jacket, out towards the shoulder; a technique seen in classic tailoring by the manipulation of peak lapels or the placement of a button.